To launch Warner Sisters Studios, Ltd. in Ireland, I'm thrilled to have picked this profound project. I'm proud to be telling this important story and to be working with the very talented Irish screenwriter, Frank Allen, whose first screenplay, 12 DAYS IN MAY, about the rebel leader James Connolly's last twelve days of life is being directed by Danny Boyle. 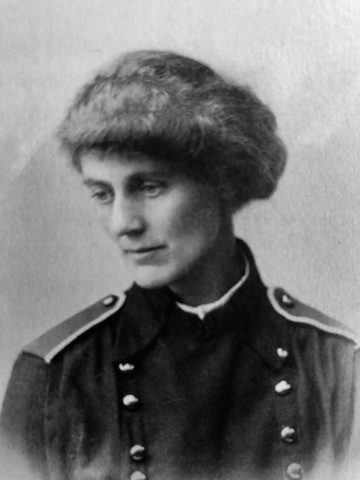 THE REBEL COUNTESS is a feature film based on the life of Ireland's iconic Countess Markievicz also known as Constance Gore-Booth&horbar;a woman before her time. Born an aristocrat, she chose to be an artist, a key part in creating Dublin's theatre in the early 1900s, a wife and mother, a suffragette, a political activist, a revolutionary and rebel leader fighting for Ireland's independence from Britain after their almost 800 years of oppression. After the Easter Rising in 1916, the British sentenced her to life in prison, but due to a truce she was released after a year and a half. In 1918, she was the first woman elected to the British House of Commons, she refused to take her seat due to her personal and political integrity. In 1919, she became the only woman to serve in the first Dáil Éireann (Irish Assembly) in which she acted as Minister of Labour. Her vision was a "kinder, better society where all men and women were equal, where resources and wealth were shared, where no one starved or died of the cold, and where all children were cherished." Screenplay written by Frank Allen in collaboration with Cass Warner, and a Warner Sisters Studio Ireland production. Frank Allen is a Dublin born playwright, screenwriter, and director. He received his Bachelor of Arts with Honours from University College Dublin and went on to qualify as a teacher beginning his early career in Pearse College from 1980–1982 and St. Kevin's College Dublin from 1982-1990. In 1984 Frank was appointed as the Chairman of The Dublin Branch of the Teachers Union of Ireland and has always been a strong advocate for the protection of workers and their rights. Between 1980-1986 Frank was also involved in the Irish Anti-Apartheid Movement and spent time traveling around South Africa, Zambia and Zimbabwe in particular. 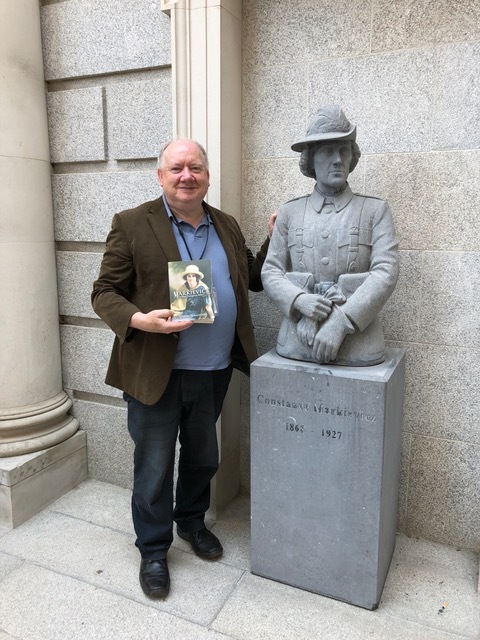 As a playwright his love of history inspired much of his later works as he references historical underdogs such as James Connolly, Martin Luther King and Nelson Mandela as people who inspired him and influenced his work. His first play was staged in the National Concert Hall in 1991 as part of the celebration of Dublin. Frank went on to found Robar Na Run Theatre Company, a community based theatrical co-op dedicated to providing access to the arts for marginalized members of the community, including prisoners. He taught creative writing and drama in the Dublin prisons for 16 years. In 2014, Frank was the assistant producer on a TV documentary, "Connolly, A Working Class Hero." He wrote, directed and produced several short films: "The Annual Pilgrimage," "The Methadone Actors," and "The Daughter of Connolly." In 2016, Frank founded The 1916 Centenary Performing Arts Club in Dublin. This Club toured and performed in Edinburgh, Scotland in June of 2018. Presently, Frank's screenplay, "Twelve Days in May" is now in production under the directorship of acclaimed British director Danny Boyle.